Located just 1/2 mile north of Sturgeon Bay, The Chanticleer Guest House is one of Door Countys most unique bed and breakfasts. We offer 8 bed and breakfast suites, and 4 luxury cottages, for rent throughout the year. 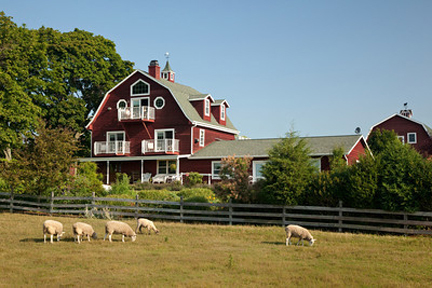 Our 70 private acres are available for hiking and our in-ground, heated pool can be enjoyed during the summer months. Please visit our website and we look forward to making your trip to Door County a memorable one.